Elizabeth. She smokes now, apparently. 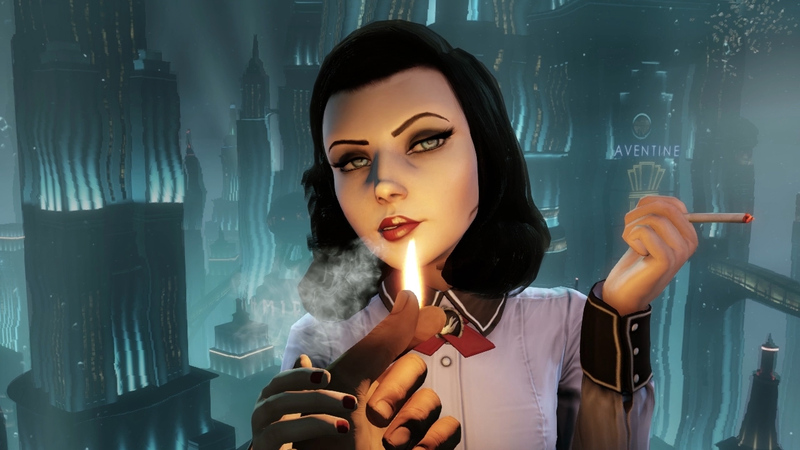 To me, this is like a sequel to BioShock that I have been waiting for, except even better. 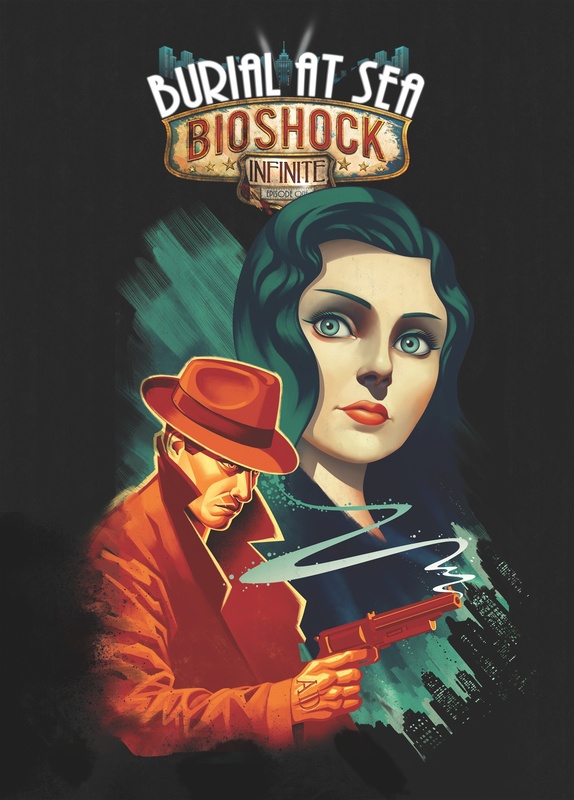 The premise (somehow) is that you’ll be playing as Booker DeWitt and a new, noire-inspired Elizabeth in a pre-fall Rapture. 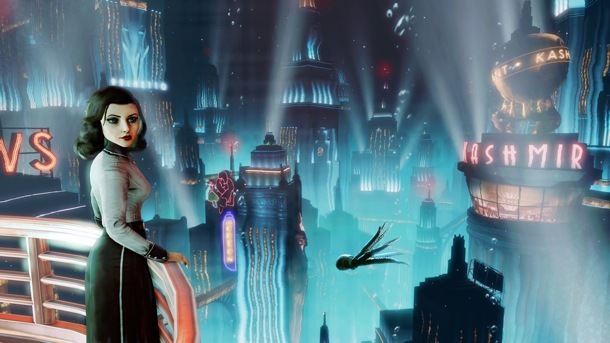 I’ve always wanted a BioShock sequel to explore this area of lore, and show us what the city of Rapture was like before the chaos of Ayn Rand pooped on everyone’s day. Instead, we get exactly what I just said, but through the perspective of Booker DeWitt. In my mind, this is another example of what all my favorite movies these days are doing (like Days of Future Past and Avengers) and combining characters from different universes (literally) and times (…also literally) together to tell one super-story. How is this going to work? I don’t know. It could be a story following the conclusion of the original BioShock (which, according to my lengthy explanation about the ending), could be entirely possible. The only problem would be that it robs them slightly of the fairy tale ending I had in my head. Alternatively, (and it sounds like this is going to actually be the case) it could simply be another version of Booker, in another dimension entirely, with no real ties to the main game other than it existing as one of the many versions of this universe. While this could entirely be a possibility, I would like to point out that while the team was quick to point out it was a different Elizabeth, they didn’t do the same for Booker. They also mentioned that parts of his experience in Columbia (like the drinkable Vigors) would influence some aspects of this Rapture. Take it with a grain of salt, but I’m hopeful it’s the same, post-life change Booker. Elizabeth. She’s in Rapture now, apparently. In true noire fashion, the first segment of the game will focus on exploration and investigation, rather than heavy combat. Think the beginning of Infinite (which was fantastic). Gameplay being a little more player and choice-based, rather than forcing certain encounters, and more emphasis on horror, especially in the segments where you play as Elizabeth. Yeah, apparently playing an older, wiser Elizabeth is a thing, too, and her gameplay will revolve more around thoughtful traps and environment dependency than mindless shooting. To me, the gameplay in Infinite was only okay, especially compared to the original two BioShocks, so I’m happy to hear this shift. No word yet on Big Daddies, or exactly which characters Booker will be crossing paths with. Between the enhanced gameplay, interesting, lengthy story that will span over two episodes, exploration of as-of-yet-unseen BioShock lore, and the inclusion of our favorite characters, I henceforth see this game as BioShock 4. Look for it to be released in its entirety before March 2014. Elizabeth. She’s a noire poster model now, apparently. Maybe that is the mother not Elizabeth. Maybe in the 4th game it explains who the real mother is, maybe you met in rapture and you have to save Elizabeth from becoming a little sister so you run away and leave rapture, and that is when BioShock: Infinite starts. This wouldn’t be the first time in a video game or animated series that a mother looks exactly like and is voiced by an identical actor/actress, but from what I’ve read, i don’t think they’re going in that direction. Still, that’s the sort of “story relevance” I’m hoping for with this DLC, not just another side story that has no bearing on the main game. And somehow, I want an answer to the dead guy in the lighthouse at the beginning of the game! Kind of a cool idea except infinite is a “prequel” to rapture. So you wouldn’t really be able to flee to a time period b4. Unless using Elizabeth’s terrors, which would be interesting. After playing the dlc the ending leaved some questions but ultimately feeds you enough information to summize your own conclusion. After all, with alternate universes and time line crosses, anything is possible. This is the whole point of infinites ending. BioShock 10/10 BioShock 2 8/10 Infinite 9/10. Dlc- although short, worth the money 8.5/10. Just waiting for part two to see what they come up with. know yet wether they’ll correct the mistake of leaving out hacking mini games? 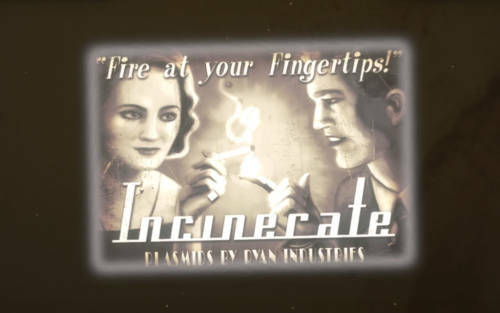 i enjoyed those emensly in the 1st too enstallments of the bioshock series. hard to play downloadable content after the fate of Booker has been played, not big on the flash back – play the character after his fate has been sealed gameplay. And after playing for so many months, you get burned out, especially since Infinite doesnt have alot of replay value!